Let's go for a walk. Have a talk. and Connect over a beer. 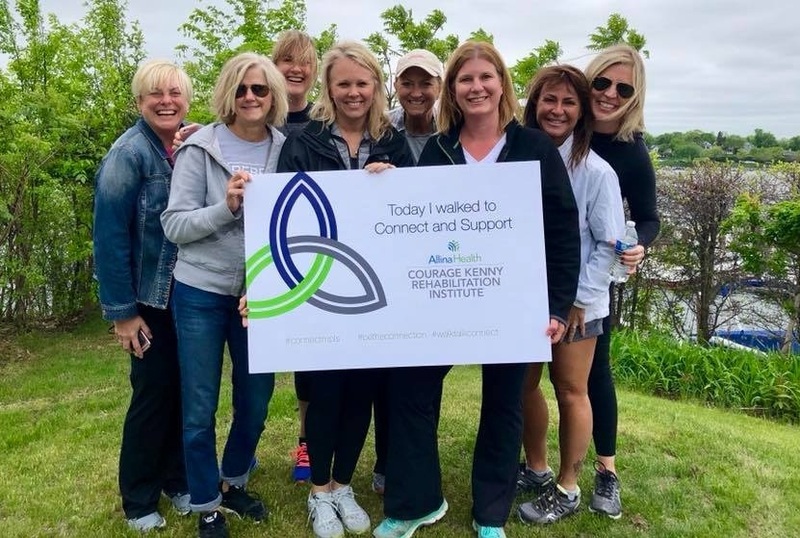 On Saturday, May 18, 2019, join us for a 5k walk (or run or wheelchair roll) along the trails in Excelsior, MN. Then relax with a cool beverage at Excelsior Brewing Co., while enjoying local comedian, Ron Lamprecht and some live music by TC Ortberg. (Did we mention we will have our own special beer on tap?). Take a chance on a Silent Auction item or Raffle to win any one of the incredible prizes donated from some of the Twin Cities BEST small - and large - businesses. Many of the prizes are goods made right here in Minnesota by some of our most creative entrepreneurs and artists. All proceeds from the day's raffle will be donated to The Givens Brain Tumor Center at Abbott NW Hospital. A premier neuro-oncology center dedicated to treatment and research, as well as, patient and family programs to help heal from the inside out. They are also a proud supporter of Courage Kenny Rehabilitation Institute and all they do in adaptive physical fitness for those challenged by brain & spinal cord tumors. Spa Package at Hotel Ivey with spa essential candles by Excelsior Candle Co.
so lace up your sneakers. we'll see you on May 18th!